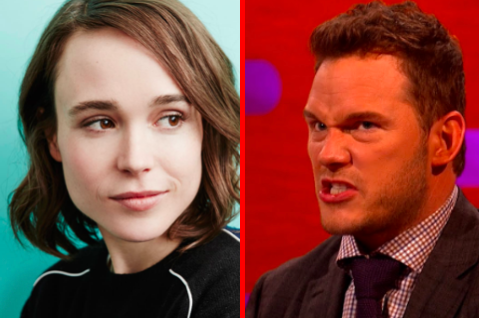 The ongoing feud between actors Chris Pratt and Ellen Page continues with Pratt launching the latest volley. After Pratt appeared on the Late Show with Stephen Colbert and spoke about his religious faith, Page shot off a tweet pointing out that his popular “hipster” church is anti-gay. The next day, Page continued to expand on her point, although she didn’t name Pratt specifically this time. Pratt goes on to say that the church helped him through his divorce, despite “what the Bible says about divorce.” The Christian holy book doesn’t actually forbid divorce, in fact, it proscribes specific instructions on how to get divorced. The allegations that Pratt’s church isn’t supportive of LGBTQ people doesn’t mean they aren’t welcome to walk in the doors. 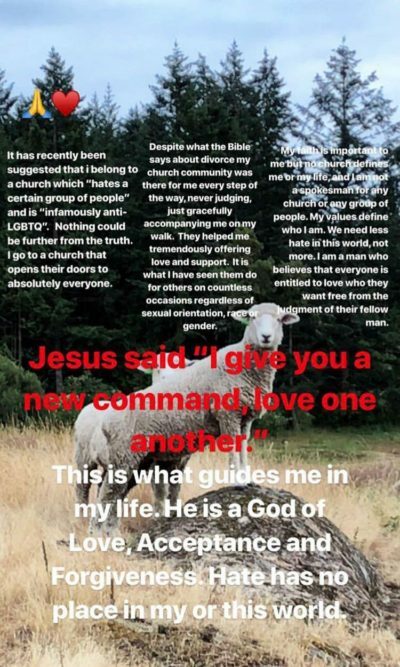 The bulk of Page’s condemnation – and criticism of the church by former LGBTQ members – is that the megachurch has encouraged members to go through “ex-gay” conversion therapy and refuses to hire LGBTQ people for leadership positions.